The LCT 240 is a medium-diaphragm FET condenser with an electret condenser capsule. It is the entry-level all-purpose studio condenser in Lewitt Audio’s Authentica series. 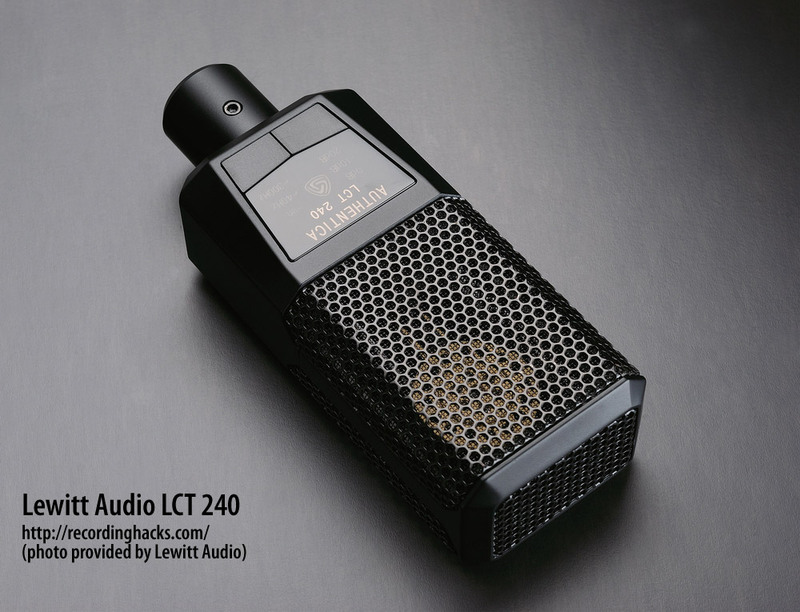 Like the other mics in the series, the LCT 240 has electronically-switched pad and filter options; the current selection is indicated by a backlighted control panel on the face of the microphone. The three-position pad offers a -10dB or -20dB cut; the latter pushes the mic’s max SPL rating (at 0.5% distortion) to a remarkable 169dB. A second three-way switch offers two high-pass filters: a 12dB/octave cut at 40Hz, or a gentler 6dB/octave rolloff at 300Hz. The mic’s published frequency response is flat from 32Hz–5kHz, with a +5dB peak centered at 10kHz. The only published details about the capsule are its size, about 17mm, and the fact that it is an electret design. The mic’s self-noise of 19dBA, coupled with its relatively low sensitivity of 8 mV/Pa, suggest that its use on quiet acoustic sources might yield less than ideal results. 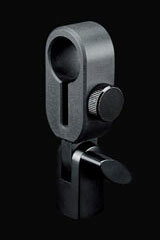 In contrast, its high SPL capability make it well suited to brass, snare drum, kick drum, or loud vocalists. 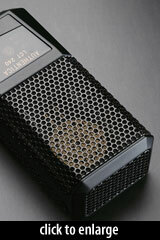 The output circuit is transformerless, as is true of all the mics in the Authentica series. We assume that, like the LCT 640, the LCT 240 also uses surface-mount components. The mic ships in a foam-lined cardboard box. It includes a rubberized mic clip (Lewitt Audio p/n DTP 40 Mts), foam windscreen (LCT 40 Wx), and leather storage pouch (p/n DTP 40 Lb).